Fostered with vast industry experience and knowledge of this domain, we are engaged in presenting Branded Laptop. These stylish and fashionable Laptops are made available with various configurations belonging to brands such as Hp, Compaq, Lenovo, Dell, Sony, Acer, Toshiba, Samsung and Apple. 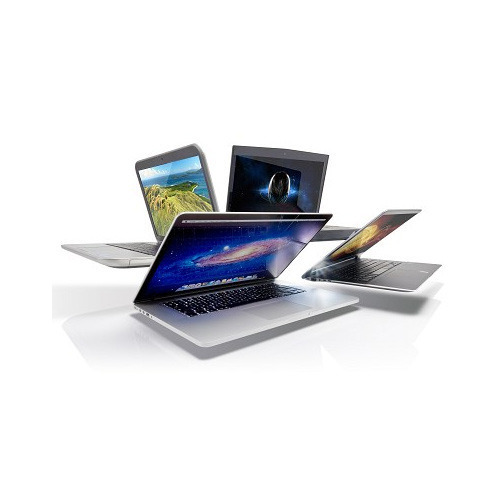 Our professionals bring forth an excellent range of laptops that are manufactured using premium quality material and latest techniques at vendors' end. Clients can avail these laptops from us at pocket friendly prices. Incepted with the core values of openness and honesty, Shri Infotech is the much applauded trader and supplier firm providing best in class range of modern day Surveillance and Security Products since 2001. Owing to the strong industrial background of our team members, we are able to bring forth a wide assortment of latest technology with the offered Biometric Product, Access Control System and CCTV Camera System. As a client centric entity, we make sure to procure best in class products to deliver the added assurance of high performance, ease of installation, user friendliness, long lasting service life and competitive price. In addition to this, we strive for competitive success by rendering professional services for system integration, installations, big networking projects, training and support. We believe that the innovative thinking and strong technical background of our team members is the driving force behind our special bond with a huge clientele of business houses, defense sector, government organizations, educational and research institutes. In addition, our work is comprehensively tuned to the stringent quality standards which earned us groundbreaking success. We keep the global IT trends in mind and have earned the repute of being authorized trading partner of leading brands such as, DELL, HP, COMPAQ, IBM, Lenovo, ACER, WIPRO, SAMSUNG, LG, Canon, EPSON, TALLY, MICROSOFT, DLINK, PRONET, and Quick Heal.